Healthcare industry is progressing at a rapid pace when it comes to advancement in technology and improved medical service. However, the industry still needs to work on improving their marketing strategy. They have to utilize the marketing tools to market their service and increase awareness among their patients. 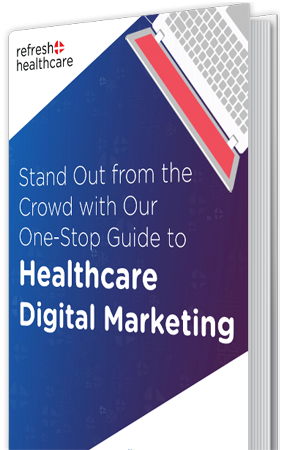 Healthcare marketing strategy tends to encourage and strengthen the relationship between hospitals, physicians and the public. Digital marketing is an effective tactic to utilize in branding and advertising of the hospitals and build their online presence. In this article, we’ve accumulated some of the benefits you can avail through digital marketing for hospitals. The health industry is swiftly becoming hypercompetitive. If you want to retain a healthy flow of customers, it is important that you spread awareness among the audience related to the services you provide. According to research conducted by Google, it is found that 44% of the visitors choose to make their appointment online or by calling after taking number from websites before visiting the premises. This indicates the trend of prospects making online research before choosing the hospital they want to visit. 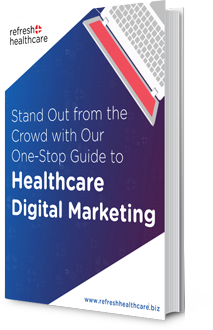 Using digital marketing for your healthcare service ensures that you have adequate audience reach and they are well aware of the services you are offering. Digital marketing for hospitals is mandatory when it comes to promoting accurate information. If you’re not watchful of your online repute, it will allow the wrong information and news to propagate. This can affect your reputation and consumer base. When you carry out a careful digital marketing strategy, it ensures that no negative word of mouth or misinformation takes place online. A lot of healthcare services and medical practitioners avoid availing any sort of marketing service, considering it an inappropriate practice. Digital marketing for hospitals actually helps in making things more convenient for patients. It helps in providing the patients easier access to the healthcare providers and saves them from unnecessary service research. Also, using digital marketing enhances the flow of communication between the patient and the doctor. Offering access through social media platforms and website portals, patients can easily communicate with the doctor or the healthcare representative and discuss their queries before visiting the hospital. This promotes trust building and better outcomes are achieved. It is often presumed that marketing is all about making attractive promotional videos and posting flashy ads. The benefit of using digital marketing for hospitals is that you can customize it in any manner you want. There are several tools and formats that you can use to market your service. Content marketing, for instance, is highly effective in maintaining a strong online presence and keeping the audience well informed about your service. Digital marketing is a tool that is cost-effective and produces better results. If you choose to utilize it correctly, it can improve not only your consumer base but also help you address the problems in your service to make it better for the patients. Get in touch with the experts at Refresh Healthcare for all your digital marketing needs. We offer great digital marketing services for healthcare companies in India and the world over.